In an effort to boost the value of their property, many homeowners invest in renovations that will help them sell at a higher price. However, with all of the renovation options, it can be hard to know what kind of fix-ups are really worth investing time and money into. If you’re looking at all of your options for home improvements, here are some surefire fixes that won’t stress the bank and will probably bump up the offering price. The look and functionality of the kitchen is one of the deciding factors for many homebuyers, and this means that if you have old appliances or an outdated look, you should definitely spend some money on a little upgrading. Since kitchen renovations can be a significant expense when it comes to knocking out walls and adding an island, you may want to stick with smaller stuff like a stainless steel appliance replacement or even renovating your cabinets for a more up-to-date look. With the push towards reducing overall housing costs and being environmentally sustainable, making your home more energy efficient can be a huge selling feature for the kind of buyers who will be able to save money as a result of renos. While there are many financially taxing overhauls that can seriously bust the bank, try simple fixes like adding extra insulation where drafts exist, and installing LED lights for lowered energy costs and longer light bulb expectancy. It may require a little bit of work to get the job done, but re-painting your home can be one of the best, and most economical, means for upping the value of your home. While painting can still be an economical option even with professional painters, a shiny new coat can take years off the look of your house and instantly improve its appearance. You just need to make sure you choose a neutral color and a high-quality paint for maximum effect. While taking on home renovations will require a bit of spending, it can be a great idea if you’re re-financing your home and are looking to boost its value. The only thing to keep in mind is making sure you choose the kind of fixes that will be inexpensive and popular on the market. 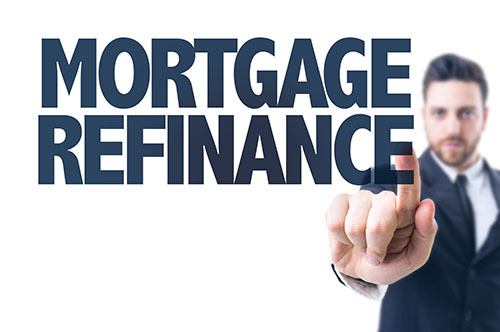 If you’re currently looking into your options for re-financing, contact your trusted mortgage professional for more information. This entry was posted in Home Mortgage Tips and tagged Home Mortgage Tips, mortgage, mortgage refinancing by BJ Kirkpatrick. Bookmark the permalink.